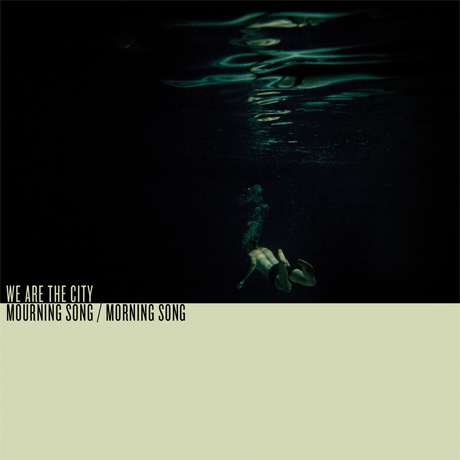 Following last March's quirky, Exclaim!-approved High School EP, melodic BC indie rockers We Are the City are about to unleash a couple more rock anthems via a new seven-inch single. While the High School EP, originally conceived as a side-project from their regular affairs, was a whirlwind of African rhythms and baroque breakdowns, the two-song "Mourning Song"/"Morning Song" single is set to highlight the outfit's epic rock leanings. beautiful alongside the most tragic." The succinct song cycle shifts in tone, from describing a waterfall near the Okanagan mountains "long before it was tarnished by spray paint and litter left by less-than-respectful visitors," to "coming to terms with a friend's death just after their graduation." Heavy stuff. You can download and/or stream the crestfallen rock ballad "Mourning Song" below. The press sheet goes on to say that, despite the new vinyl release, the band also have their sights set on a sophomore LP sometime in the future. Before that, however, they'll be hitting up Canada once again with a string of tour dates. You can check the details of their upcoming fall trip below.